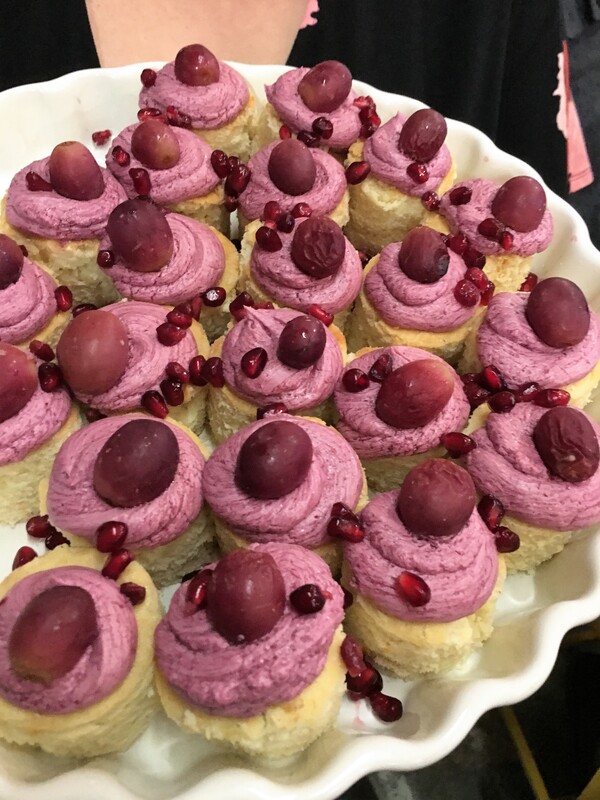 CWC, a restaurant by Cooking with Caitlin – Go There. Try That. People always ask me to name my favorite restaurant. Typically, that’s pressure. But now, I don’t even have to think about it. It’s CWC! Props to my husband for finding this gem. CWC, a restaurant by Cooking with Caitlin, is located in the heart of Wyoming, a Cincinnati suburb. 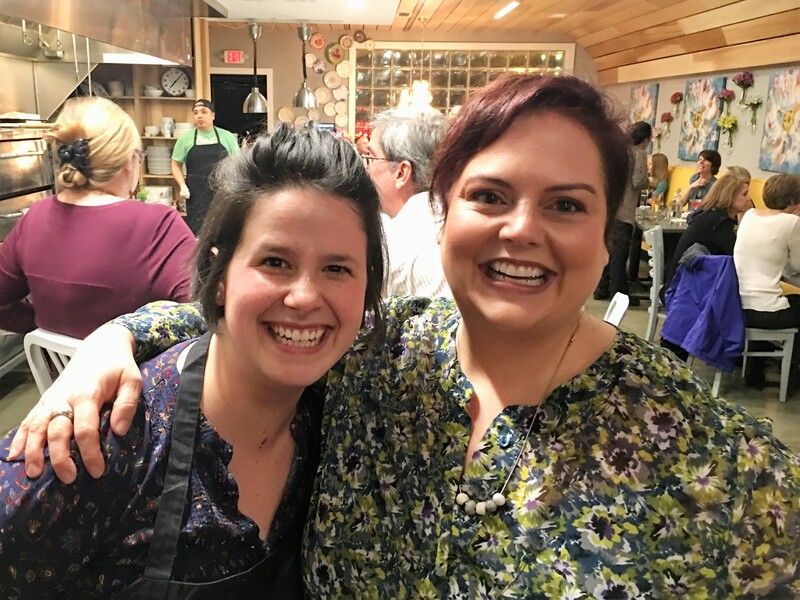 Chef Caitlin Steininger and her sister, Kelly Trush, own and operate CWC; however, “Cooking with Caitlin” is far more than a restaurant. In fact, the restaurant is preceded by a radio show, food demos, and the publication of original recipes. Check out their website, Cooking with Caitlin, to find videos and recipes. There are no secrets here. These sisters love food and are willing to freely share that love! Caitlin taking a quick break from cooking! Sit at the counter to watch her work her magic. Right now the restaurant is open weekends only (with the exception of Third Thursday which I will get to in a sec). The restaurant opens Friday at 4 pm, Saturday at 5 pm, and Sunday at 9 am. My first visit to CWC was for Sunday brunch. The entire meal made me smile. 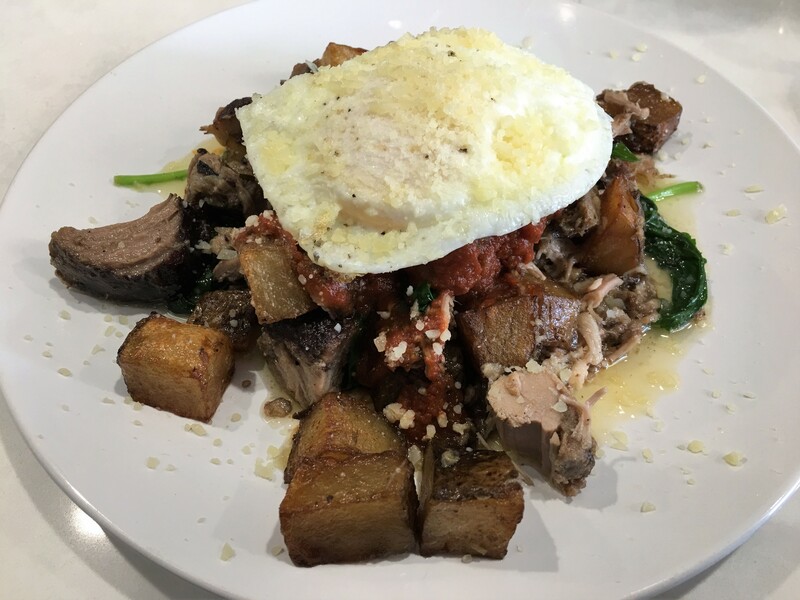 My husband and I shared the special- a deliciously filling egg-over-pork-over-potatoes dish. Just know, because this restaurant is fresh and creative, the menu changes. One thing that hasn’t changed is the Homemade Yeast Donuts. Do NOT pass these up. For reals. 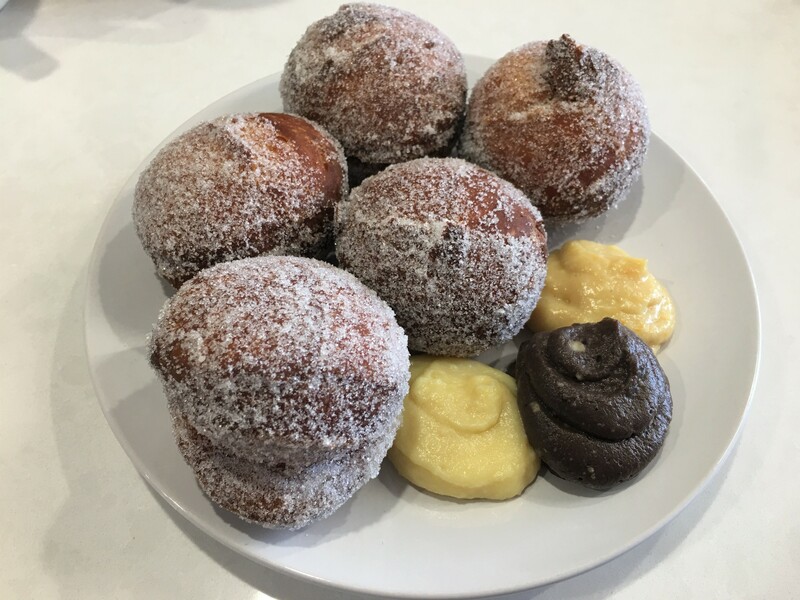 These donuts are fried to order, hot, and served with three different creams (Mexican Hot Chocolate, Vanilla, and Orange- Ginger). You need these in your life. Promise. 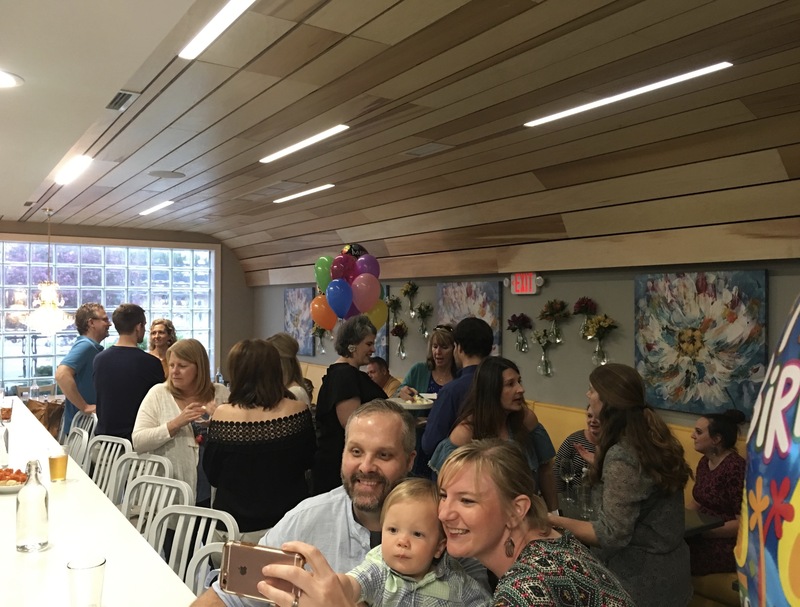 I recently attended a Third Thursday event at CWC with a group of friends. And it is an event. 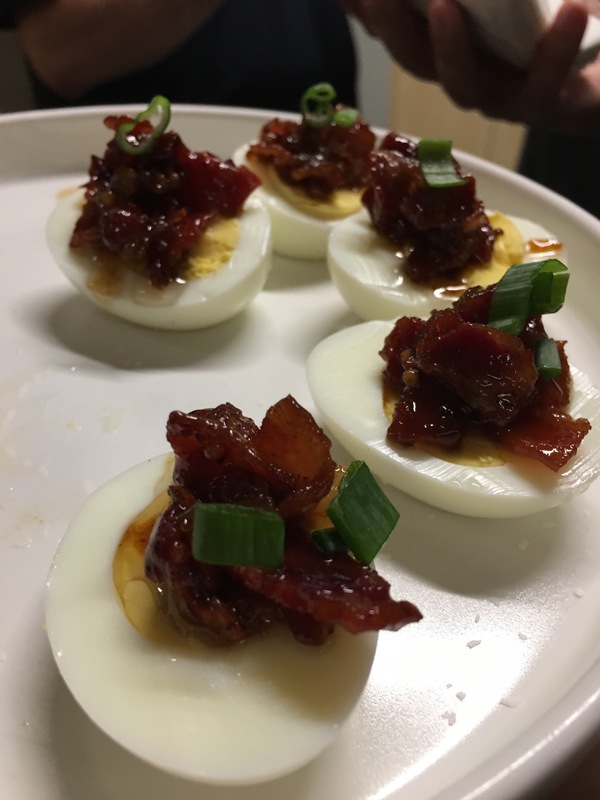 Third Thursday is a time for Caitlin to experiment with recipes and try new twists. It’s nine bite-sized portions of deliciousness. Be sure to make reservations and arrive early. The bar will be open and plenty of mingling will be happening. 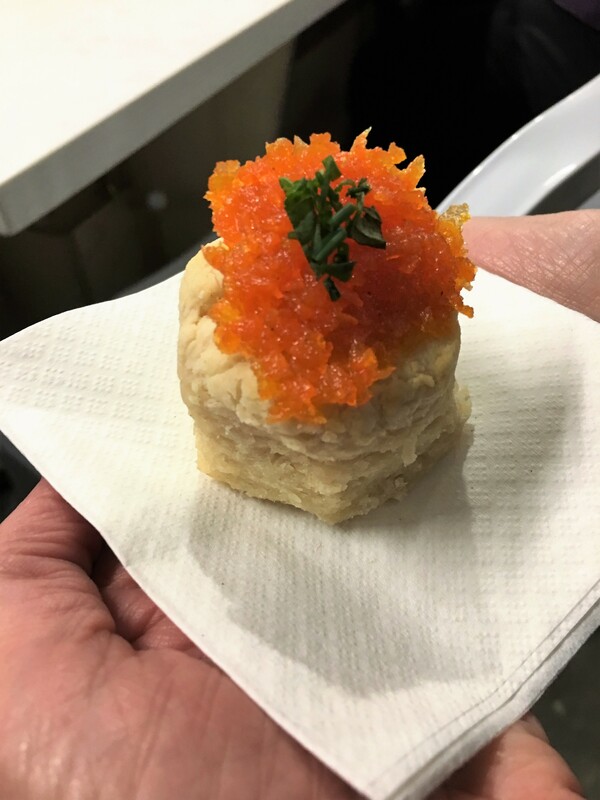 This biscuit with carrot jam made me like biscuits! I’ve never met an egg I loved more. I realized, after the fact, that most of my pics are sweet treats! Totally my state of mind. Please know, Third Thursday isn’t all about dessert. We tasted kimchi grilled cheese, fish, Chicago-style pizza, shrimp, and the most amazing Brussel sprouts! Between bites, it was all about spending time with friends. In fact, I had my milestone “45” bday party at CWC and every single friend raved about the food and the positive energy. It’s creative, yet homey. One of my favorite dishes of the night had to be his fried chicken; it took me home! This fried chicken is out of this world! 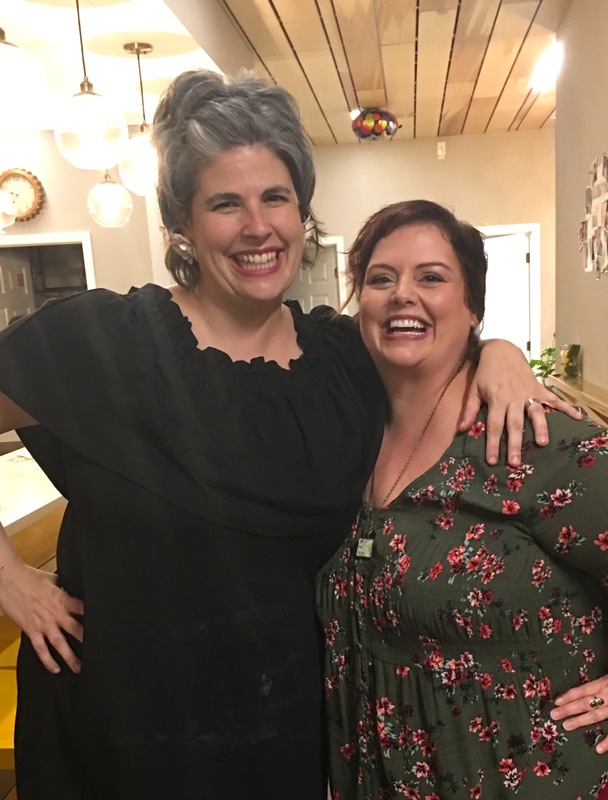 And, I would be remiss if I didn’t give a shout out to Kelly who is the nicest, the perkiest, the sassiest, the smilingest host a dinner guest could ask for. She truly makes you feel like family- like you belong there! Kelly knows food and she knows people! CWC is special. These sisters are special. This family is special. Most importantly, the food is special. 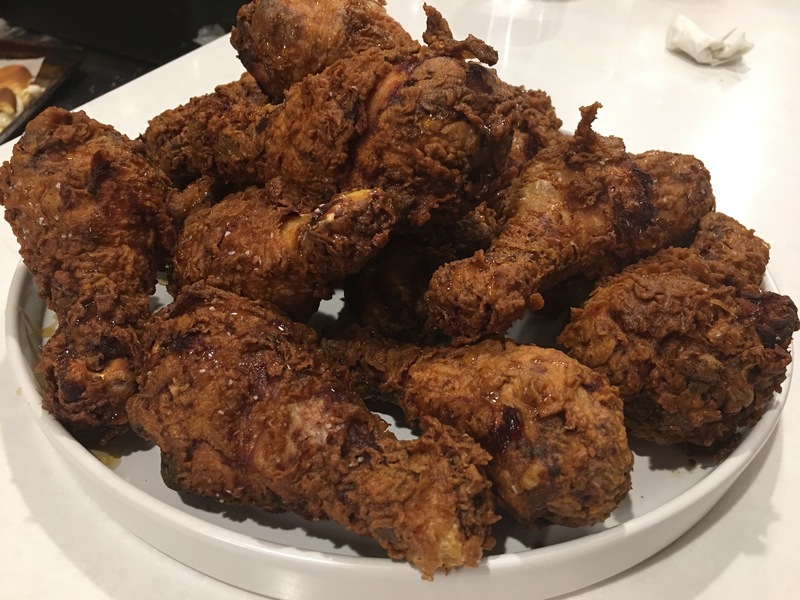 Oh, did I mention the fried chicken? Devine. Yep. My new fave; no doubts! Tip: follow these ladies on Facebook and insta for all kinds of special events! GO THERE (CWC)! TRY THAT (Third Thursday, Sunday Brunch)!